With the weather turning brisker and the leaves changing colors, autumn presents opportunities for a variety of fun, romantic dates, many of them based on informal outdoor activities. Halloween-related activities, including attending parties, dressing in costumes and gathering pumpkins and gourds, lend themselves to romance. Sports and recreational activities, including football and hiking, also offer opportunities for fun, creative dates. 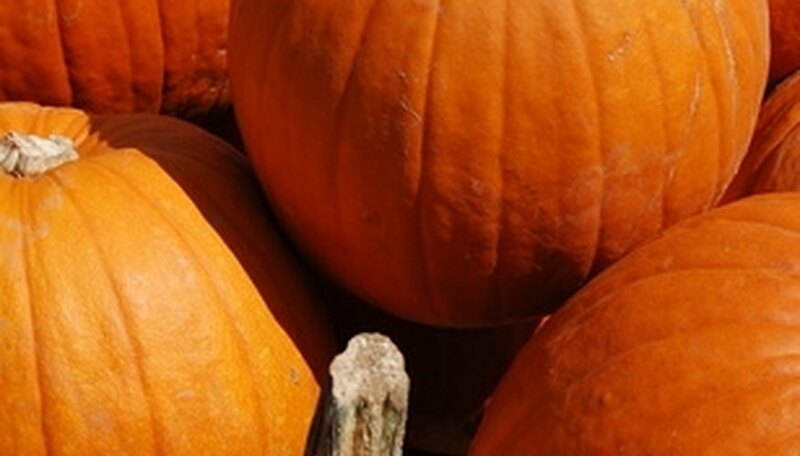 A visit to a pumpkin patch can be a fun and romantic autumn date. Spending the day at a pumpkin patch, preferably shortly before Halloween, is a fun and romantic date. If either partner in the dating relationship has children, it can offer an opportunity to involve the whole family. A visit to a pumpkin patch requires casual dress, such as jeans or corduroys, sweaters and leather shoes or canvas sneakers. Both partners should spend the day picking pumpkins, then take them home and carve them in the evening while drinking apple cider or wine. Browsing at a farmers' market is another fun and romantic autumn date. Autumn produce commonly available at farmers' markets includes squash, beets, carrots, potatoes, turnips and fresh herbs, such as basil. Freshly squeezed orange or tangerine juice is often available, as well. A farmers' market can be a fun morning date. Buying produce and taking it home to prepare a meal together is a nice touch. Tailgating -- hanging out, eating and drinking -- outside a stadium before a college or professional football game can be a fun and romantic autumn date. Cold beer or soft drinks complement tailgating fare like grilled burgers, grilled steaks, shish kabobs and fruit salad. Typical tailgating activities include tossing footballs, baseballs or bean bags, as well as listening to or playing music. On a chilly autumn day, snuggling together under a blanket can add a romantic accent to the date. Enjoying a day trip driving through the mountains or countryside to view colorful fall foliage is a classic autumn date. New England and the northeastern U.S. are well-known for foliage viewing in the autumn, but brilliant fall colors can be found nearly anywhere. One option to extend the date is to book a room at a romantic hotel, checking in after a day of viewing the foliage. Wilkens, Steven. "What Are Some Fun, Romantic Autumn Date Ideas?" Dating Tips - Match.com, https://datingtips.match.com/fun-romantic-autumn-date-ideas-7841749.html. Accessed 22 April 2019.